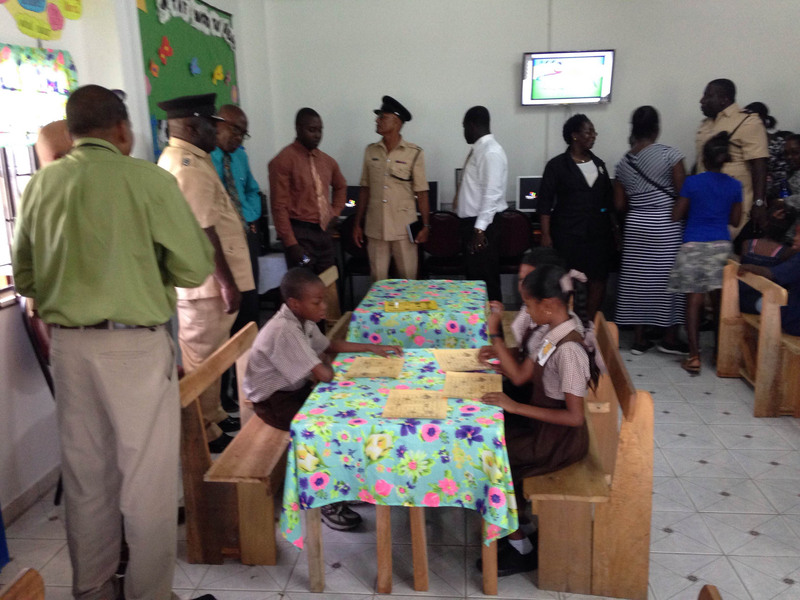 Commissioner of Police Seelall Persaud on Thursday commissioned a new library at La Parfaite Harmonie Primary School, which was outfitted with computers and other resources. 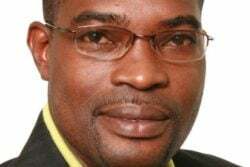 At a simple ceremony, the school’s Head teacher Shaundel Chichester said the students’ below average literacy skills are among several issues that adversely affect the delivery of education at the school. Because of this, it was decided that the establishment of a school library was paramount. However, previous attempts at establishing a reading room were thwarted when a section of the school was gutted by a fire a while back. Students of La Parfaite Harmonie Primary School wasted no time in getting settled in their new library as parents and members of the Regional Office were given a tour of the room. Chichester noted that with the establishment of the school library, it is hoped that the development of literacy and reading skills would ensure better performance by students at internal and external examinations. The school’s library will be accessible to students, teachers and parents as the head teacher noted that both the family and school are important spheres in promoting and helping pupils achieve literacy. “Various literacy resources will be provided to meet the needs of reading difficulties. We hope to provide a variety of stimulating print and audiovisual materials, which promote reading and to develop and improve literacy among our children,” Chichester said. 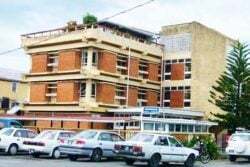 She further stated that although the school has suffered several setbacks since it began its operations six years ago, it has been re-graded from being a ‘C’ grade to a ‘B’ grade primary school. At present, the school has a population of 616 students and 24 teachers. 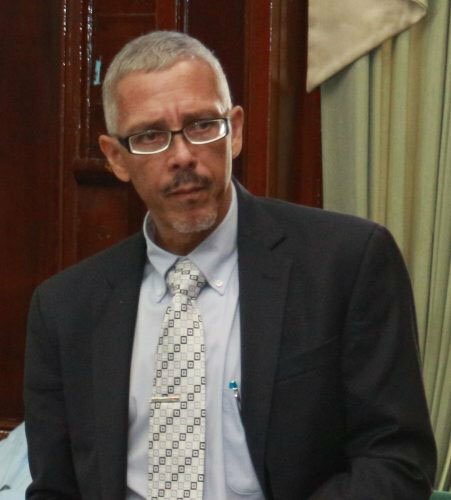 Meanwhile, Commander of ‘D’ Division Stephen Mansell explained that three months ago he was tasked with the establishment of the library as directed by Commissioner Persaud, who had taken a personal interest. “We are still in the building mode of the library but as long as I am Divisional Commander, I will give my support to the library. I hope that the students will make good use of the library,” Mansell said. Regional Executive Officer Denis Jaikarran also lauded the efforts of the parties who were involved in the establishment of the library. He also congratulated the Head Teacher and her staff for their work of raising the grade of the school. “From the opening of the school to this date, they have moved the grade of the school from a C to a B and that is commendable. I would want to believe that based on what is happening, in a very short time the Head teacher and her staff can make this school an ‘A’ grade School,” he said. Speaking on the library, the REO praised the hard work of the team since he explained that too often when a project is picked up, persons look to find the easy way out. However, this was not the case as the teachers showed commendable work in the establishment of the library. Additionally, he offered praise to Commander Mansell, whom he described as being a true leader. With the continued work of the police division in mind, Jaikarran pledged his commitment in locating and dedicating a piece of land to the Division specifically for police activities. “I want to offer my words of congratulations to the Commander and ranks of the ‘D’ division for their work. Over the past couple of months his engagement of himself and his ranks has been excellent,” the REO added. The school library was said to have been a project which was coordinated by the school’s head teacher and two other members of staff as a prerequisite for a Post Graduate Diploma course in Education Administration which they are currently pursing at the University of Guyana. Chichester extended her heartfelt gratitude to those whose donation made the establishment of the library a reality and particularly the Commissioner of Police, who got onboard the project after being approached by a member of the PTA. She noted that extensive work was put in by the officers of the Division, who not only donated a desktop computer and printer along with books and furniture, but also assisted in repainting the room. 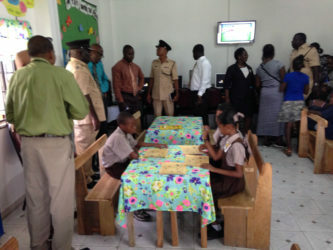 Other donations were made by Courts Guyana Ltd, which presented a television, Food for the Poor, which donated six computer systems, the Offices of Regional Educational Officer and Regional Executive Officer, Wolf’s Furniture Store as well as several parents and community businesses.